Painting is one of the most popular home improvement projects you can undertake, but it can be more difficult than you might think. Whether you’re planning an interior or exterior painting project for your residential or commercial properties, hiring a painting contractor will save a lot of time and energy in the long run when done right. * How long has the contractor been in business? There can be a high turnover rate in the painting industry. Be sure to hire someone who has been operating for at least two to three years. * Are employees experienced painters? Make sure the company hires skilled workers. Ask the contractor what training or qualifications his employees have. * Does the contractor have insurance? It is absolutely critical that they have the necessary insurance. 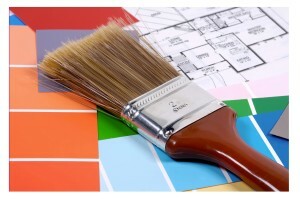 A reputable, licensed painting contractor will have coverage. Remember, it protects him and any workers he may have on site, as well as you. * What kind of preparation work does the painting contractor do? A cheaper job will skimp on the prep work to cut corners. A good contractor will take the time to do everything the way it should be done. The workmanship will show in the end, good or bad. * Can they provide a list of references? Once you have the references in hand, call them. * Can the painting contractor make recommendations on what materials will work best for your project? A professional keeps up-to-date on the latest products and techniques, makes suggestions for colors and finishes, and is knowledgeable about the latest trends. Experience counts. * Make sure they put everything in writing. A professional provides customers with written contracts and specifications. * Will they offer a maintenance program? Some will, it’s worth asking. * How much do they charge? Getting the lowest price should not be your first consideration. You want to get someone with skill, experience, insurance, awareness of safety issues and good workers. That will not likely be the guy with the lowest bid. It doesn’t need to be the highest bid either. Just be sure not to hire on price alone. Look at the whole picture. Painters operate on very tight profit margins. Some homeowners hire unskilled workers to save a buck and regret it afterwards. Just remember, if the price seems too good to be true, it probably is.